The Philharmonia Baroque Orchestra has named Richard Egarr as its next music director, succeeding Nicholas McGegan, who steps down in 2020 after 35 years. 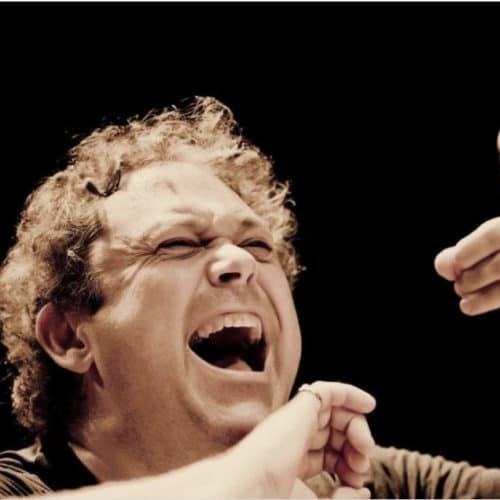 Egarr is presently music director of the Academy of Ancient Music in the UK. The Philharmonia Baroque is based in San Francisco. Something will have to give. From one Brit to the next; how utterly boring and predictable. With all the great Italians, French, Germans, Dutch out there….really? I guess the Americans are still bamboozeled by an English accent. The Brits among us are also bamboozled by your spelling!! I am not familiar with the Philharmonia Baroque Orchestra, so it was relief that I clicked the link to see how the sentence finished and it was not “after accusations of impropriety” or something of the sort. I hadn’t heard anything against Mr. McGegan, I hasten to add, but these days mightier than he are falling like ninepins on everything from accusations to whispers. Nice to see someone step down because the time had come. Not another “baroque” orchestra I never heard of before providing excruciating “has been” performances on substandard tinny replica instruments when the original composers and musicians would have eagerly grasped our modern instruments and performing styles. Only a dying civilisation lives in the past. There are newer ways to contribute than posting comments on a blog. Maybe you should go find them, instead of living in the past? FYI: classical music “lives in the past” so what on earth are you even doing here on this blog? The Rap blog is down the street, past the gutter and in the sewer. You know, the one filled with videos depicting demeaning acts towards women, violence, profanity and degeneracy? “The shining future” as you call it. Richard announced quite a while back that he was moving on from AAM, and the AAM music director search is apparently well under way. Nic also announced a while back that he was leaving the Philharmonia Baroque and their music director search we now hear (officially!) has brought them Richard. Nic has a huge conducting career in the US, working with all the major symphony orchestras, and probably thought it was time for a breath of fresh air, both for him, and for the orchestra he founded and has led so successfully for many years. Looks like a well managed succession process in both orchestras. Philharmonia Baroque Orchestra was founded in 1981 by harpsichordist Laurette Goldberg. Nic McGegan joined the orchestra five years later.